I was lucky enough to be asked to write the extended essays for this award-winning book by Katharine Harmon. 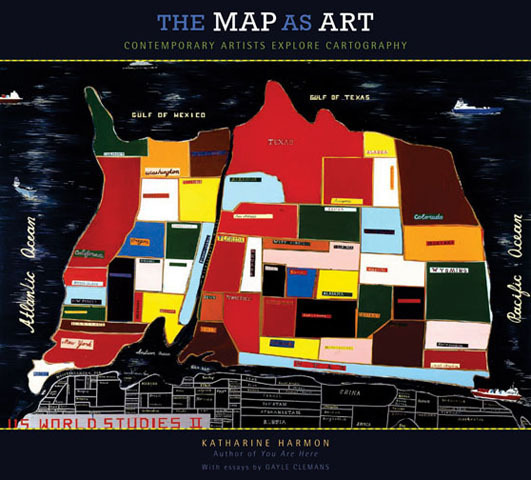 Here’s an excerpt from the blurb: “In The Map as Art, Harmon collects 360 colorful, map-related artistic visions by well-known artistssuch as Ed Ruscha, Julian Schnabel, Olafur Eliasson, Maira Kalman, William Kentridge, and Vik Munizand many more less-familiar artists for whom maps are the inspiration for creating art. Available for purchase through Amazon and other outlets.